European Automobile Manufacturers Association as shown in the Logo. It is based in Brussels, Belgium. 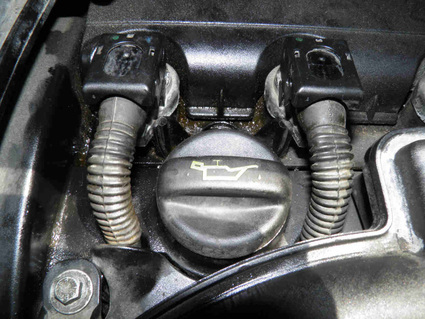 It has defined specific requirements for motor oils as detailed below. 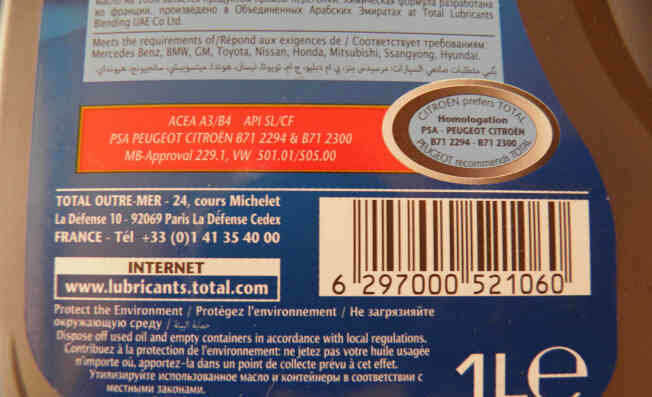 European car and oil manufacturers now refer to the ACEA standards when recommending a lube oil to a particular engine. This replaces the previous only reference to the API standards. A3/B3 Motor Oil intended for use in Passenger Car & Light Duty Van Gasoline & Diesel Engines with extended drain intervals where specified by the Engine Manufacturer, and for severe operating conditions as defined by the Engine Manufacturer. A3/B4 Motor Oil intended for use at extended Drain Intervals in Passenger Car & Light Duty Van Gasoline & Direct Injection Diesel Engines, but also suitable for applications described under A3/B3. A5/B5 Motor Oil intended for use at extended Drain Intervals in Passenger Car & Light Duty Van Gasoline & Diesel Engines designed to be capable of using Low Viscosity Oils with HTHS* Viscosity of 2.9 to 3.5 mPa.s. These Oils are not to be used in certain Engines - consult your vehicle owner’s handbook in case of doubt. C1 Engine Oil with Lowest SAPS*-Level, intended for use as catalyst compatible Oil at extended Drain Intervals in Vehicles with all Types of modern After-treatment Systems and High Performance Passenger Car & Light Duty Van Gasoline & Direct Injection Diesel Engines that are designed to be capable of using Low Viscosity Oils with a minimum HTHS* Viscosity of 2.9 mPa.s. C2 Engine Oil with Mid SAPS-Level, intended for use as catalyst compatible Oil at extended Drain Intervals in Vehicles with all Types of modern After-treatment Systems and High Performance Passenger Car & Light Duty Van Gasoline & Direct Injection Diesel Engines that are designed to be capable of using Low Viscosity Oils with a minimum HTHS Viscosity of 2.9 mPa.s. C3 Engine Oil with Mid SAPS-Level, intended for use as catalyst compatible Oil at extended Drain Intervals in Vehicles with all Types of modern After-treatment Systems and High Performance Passenger Car & Light Duty Van Gasoline & Direct Injection Diesel Engines that are designed to be capable of using Oils with a minimum HTHS Viscosity of 3.5 mPa.s. C4 Engine Oil with Low SAPS-Level, intended for use as catalyst compatible Oil at extended Drain Intervals in Vehicles with all Types of modern After-treatment Systems and High Performance Passenger Car & Light Duty Van Gasoline & Direct Injection Diesel Engines that are designed to be capable of using Oils with a minimum HTHS Viscosity of 3.5 mPa.s. C5 Engine Oil with Mid SAPS-Level, for further improved Fuel Economy, intended for use as catalyst compatible Oil at extended Drain Intervals in Vehicles with all Types of modern After-treatment Systems and High Performance Passenger Car & Light Duty Van Gasoline & Direct Injection Diesel Engines that are designed to be capable and OEM-approved for use of Low Viscosity Oils with a minimum HTHS Viscosity of 2.6 mPa.s. A5/B5 and C classes engine lubricants can only be used in modern engines designed to operate with low viscosity oils. DO NOT USE THESE OILS IN OLDER ENGINES or any engine that is not specifically designed for less viscous lubricants.